As Hurricane Florence starts to make landfall today, it is expected to have a serious impact on coastal South Carolina and North Carolina. Florence is currently a category 2 hurricane, but they expect wind speeds to diminish quickly upon landfall. No doubt, we’ll remember Florence for the tremendous amount of rainfall she packs–there will be significant flooding in her path. A few readers have asked about frequencies to monitor as the storm approaches. 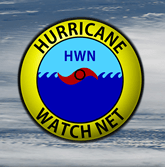 The Hurricane Watch Net is a group of amateur radio operators who are trained and organized “to provide essential communications support to the National Hurricane Center during times of Hurricane emergencies.” The HWN focuses on “ground truth” observations (much like SkyWarn nets). The Hurricane Watch Net is activated when a hurricane is within 300 statute miles of expected land-fall. The HWN covers the Caribbean, Central America, Eastern Mexico, Eastern Canada, and all US Coastal States. The HWN operates in both English and Spanish, and is active on 14.325 MHz (upper sideband) during the day and 7.268 MHz (lower sideband) at night. The HWN is known to operate on both frequencies if propagation allows. If you’re an amateur radio operator, please avoid using 14.325 MHz and 7.268 MHz anytime the HWN has been activated. If you have a shortwave radio with a BFO/SSB mode–and you live within the propagation footprint–you can monitor the Hurricane Watch Net. Note that you’ll need to use upper sideband on 14.325 MHz and lower sideband on 7.268 MHz. You can also monitor the Hurricane Watch Net via a number of WebSDRs on the KiwiSDR network and even potentially via the U Twente WebSDR in the Netherlands (although a WebSDR in North America would be preferable). Click here to view the Hurricane Watch Net website. At time of posting, there are a number of tropical storms in the Atlantic. If you live in an area prone to hurricanes, tropical storms and other natural disasters, please keep an emergency kit fully-stocked and at the ready. Click here for some ideas about building your own simple kit. This entry was posted in Ham Radio, How To, News, Shortwave Radio and tagged How to hear hurricane reports on shortwave, How to hear Hurricane Watch Net, Hurricane Florence, Hurricane Watch Net, Hurricane Watch Net Frequencies, Hurricane Watch Nets, HWN on September 13, 2018 by Thomas. 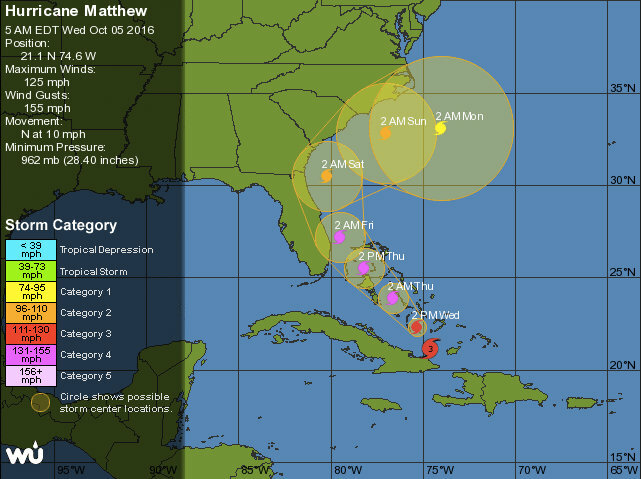 As Hurricane Matthew makes its slow trek through the Caribbean, it is expected to have impact on the Bahamas, Florida, South Carolina and North Carolina. It has already battered Haiti and Cuba. “CO2KK reports the Cuba National Emergency Net is operating on 7110 primary, 7120 secondary in the daytime, with provincial nets on 7045, 7080 and possibly others. At night the primary is 3740 and secondary 3720. The main net control station is CO9DCN, operating from the Cuban National Civil Defense Headquarters, in Havana, with CO2JC in charge. Volunteer hams across the island nation are going portable to check on flooding of rivers and roads and plan to report in. Please note these frequencies and, again, keep them clear of non-essential communications. 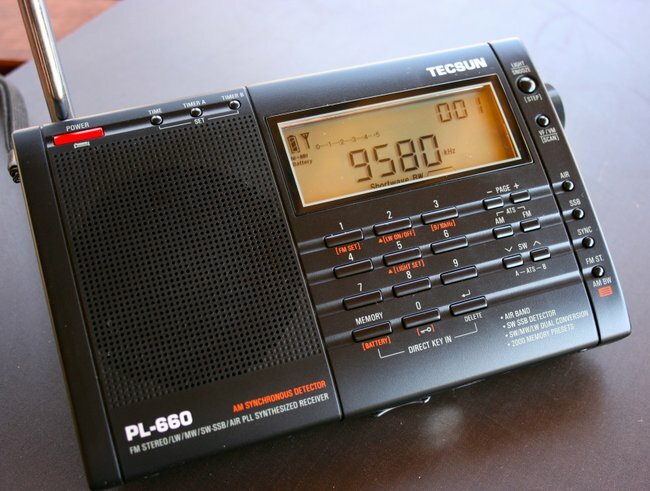 This entry was posted in Emergency Preparedness, News, Preparedness, Schedules and Frequencies, Shortwave Radio, What's On Shortwave and tagged How to hear hurricane reports on shortwave, How to hear Hurricane Watch Net, Hurricane Matthew, Hurricane Watch Net, Hurricane Watch Net Frequencies, Hurricane Watch Nets, HWN on October 5, 2016 by Thomas.